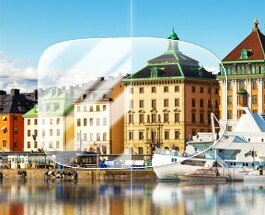 Help protect your glasses with our nine unique lens coatings. 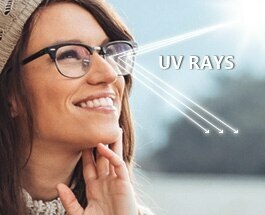 Our coatings help protect both your eyes and your lenses. Learn more about which one is the best for you and your needs. Enjoy it free with all EBD glasses. No pair of glasses is indestructible, but anti-scratch coating defends against drops and tumbles and will help protect your lenses from daily wear and tear. 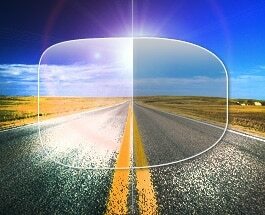 Anti-reflective, or AR, coating eliminates annoying glare on your lenses and reduces the reflections caused by computers, automobile headlights, and more, so that the only reflections you see are the ones in your mirror—and the only thing your admirers see is you. This coating darkens and lightens according to exposure to sunlight, becoming dark outdoors and clear indoors. This option cannot be applied with other sunwear options. We offer premium Transitions™ and basic photochromic lenses. You know what you want. We know it, too. If our 300 plus selection of sunglasses isn't enough for you, our color-tint coatings let you create your own, we have some good news. We offer four colors and two intensities for you to choose from. 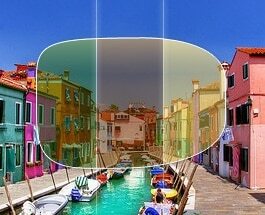 Please note that our color tints cannot be added to polarized or photochromic lenses. 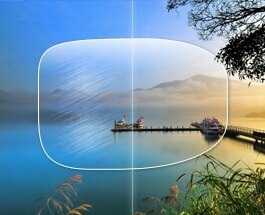 Gradient-tint lens coatings start as dark tint at the top of a lens and then progressively lighten toward its bottom. 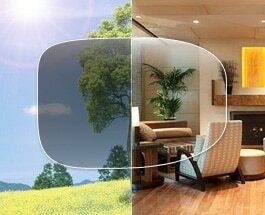 The result is a pair of shades that offer you sun protection and privacy, but offer you varying degrees of light. 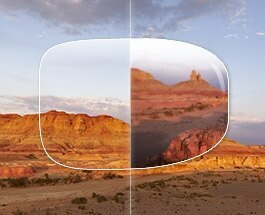 Gradient tint can only be applied to lenses for frames above 36mm in height. This safety coating reduces the annoying, and sometimes dangerous, reflections that water and roads can create on your lenses, making it especially handy for activities like driving, running, and biking. It comes in standard dark green, dark brown, or dark gray tint. Add a little bit of mystique to your look with mirrored coating on your lenses. Mirrored lenses are functional and fashionable sunglasses with that little extra flash. 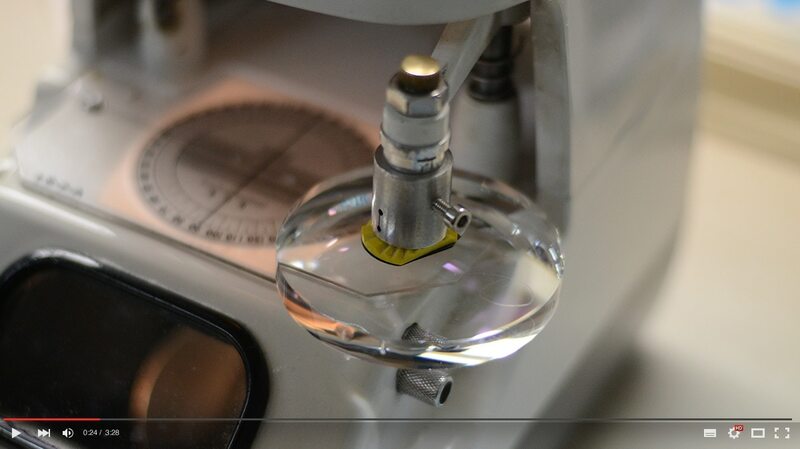 This reflective coating comes in gold, silver, and blue. 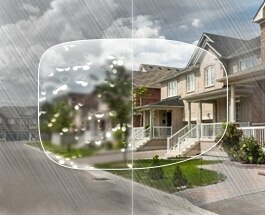 Water repellant coating keeps water drop, dirt, and smudges off your lenses while making them easier to clean. Lenses with this premium coating stay sparkling twice as long. 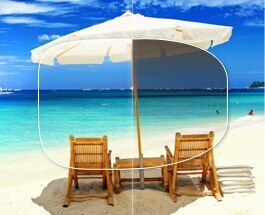 This invisible coating works like sunscreen for your eyes by deflecting harmful UV rays from the sun before they can damage your eyes, and it is included for no extra charge with our polycarbonate (1.59) lenses. Free is always stylish, no?